Mr O’ Sullivan’s 5th and 6th had their annual art trip on Thursday November 29th. It was an early start leaving Tralee at 6am, but everyone was excited for the day ahead! 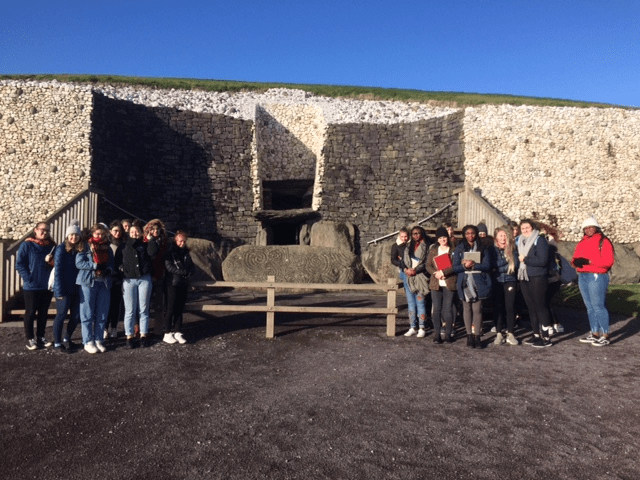 Their first stop was Newgrange, Bru Na Boone, where they got to enter the passage and see the amazing megalithic art. 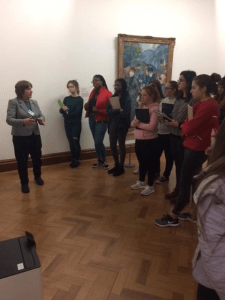 Next stop was lunch in the city before moving onto The Dublin City Gallery, The Hugh Lane, here the tour guide took them through the gallery, looking at all the work they have been studying in class. 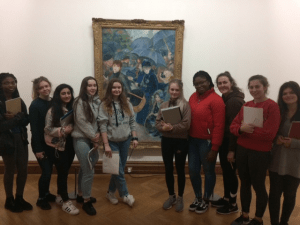 Renoir’s “Umbrellas” was the highlight for the majority of the group! We arrived back in Tralee at 9:30pm. Long day but great day!! Big thank you to Miss Caroline Foley for accompanying the students with Mr. O’ Sullivan.